Steve, this is excellent! 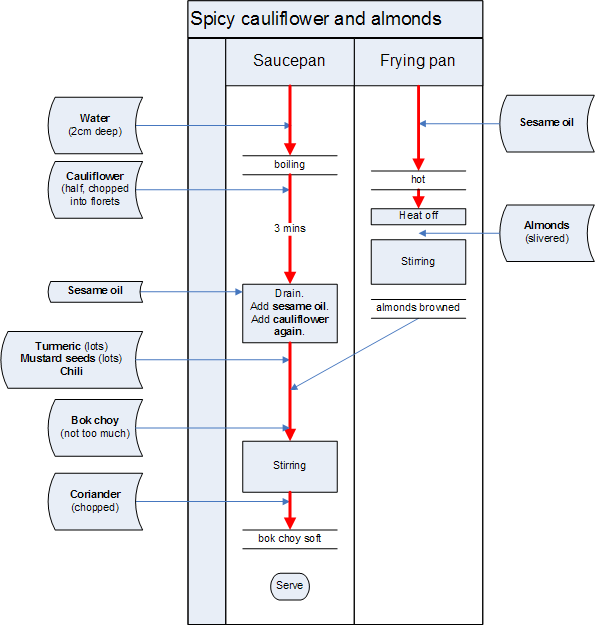 I will be sending you all my recipes for flowcharts from now on. I expect prompt service! Damn! You got me there! This is actually brilliant. I cant cook by recipie, I get confused by the sheer amount of information presented in a normal cookbook.